In a year dominated by superstars from Michael Jackson to Jay-Z to newcomer Taylor Swift, a middle-aged Scottish lady with a "Dream" may be about to score the year's biggest chart debut. 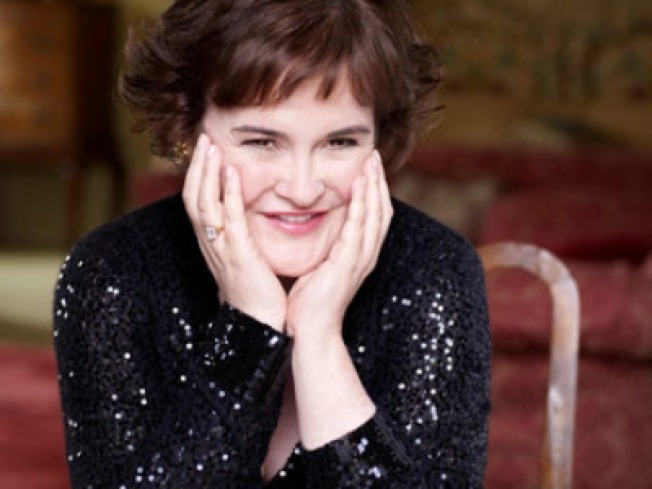 Susan Boyle, the angelic singer who rose to worldwide fame after her much-YouTube'd appearances on "Britain's Got Talent," is on track to top Eminem's "Relapse" sales of 608,000 earlier this year with her debut, "I Dreamed A Dream," Billboard reported. According to the mag, Susan's much-anticipated debut could sell as high as 700,000 copies, with sales likely to be limited by not demand, but supply. "We are not out of stock yet on her, but are heading that way quickly," one chain merchandiser told the mag. Pre-sale orders of Susan's album on QVC and Amazon.com have been through the roof, with Susan recording Amazon.com's "largest global pre-order" ever. Susan's not the only star to defy expectations this week – Adam Lambert's debut, "For Your Entertainment," is also expected to chart high, with the album estimated to sell 225,000 copies. The brisk sales come despite a raunchy performance on the American Music Awards on Sunday that drew criticism – and led to a canceled performance on ABC's "Good Morning America." However, in a week for big releases, one of the most anticipated is reportedly underperforming – Rihanna's "Rated R," the sequel to her multi-platinum "Good Girl Gone Bad." It has yet to generate the same heat as its predecessor, with the single "Russian Roulette" peaking at No. 9 on the Hot 100.